Noticeable golden colored and haired Polyrhachis from South-East Asia. 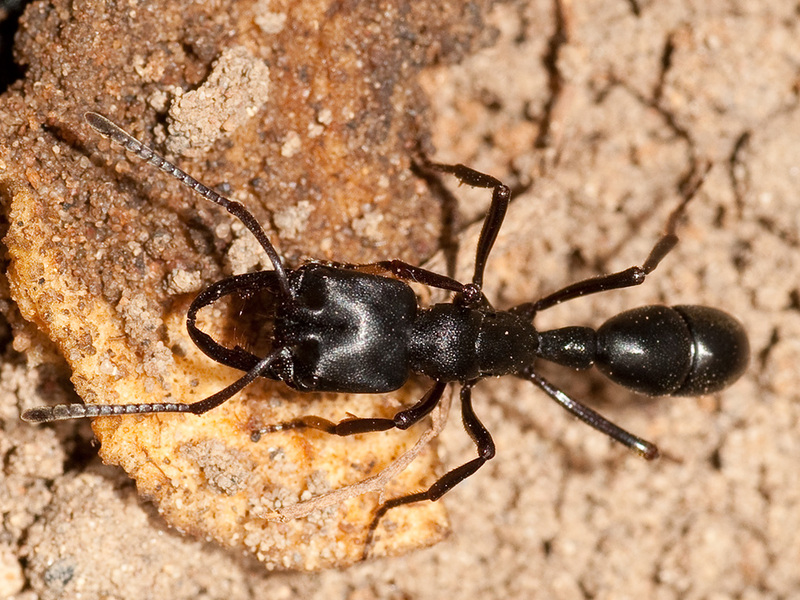 Another Polyrhachis from South Asia which looks similar to Diacamma on first view. Queen of very green variation of Oecophylla smaragdina which is widely distributed in South Asia and Australia. South Asian Harpegnathos saltator species. Black colored Polyrhachis from Indonesia. Camponotus nigriceps a Camponotus species which is wide spreeded insubtropicalan region of Australia. Workers of a Southern Asian Meranoplus Species. 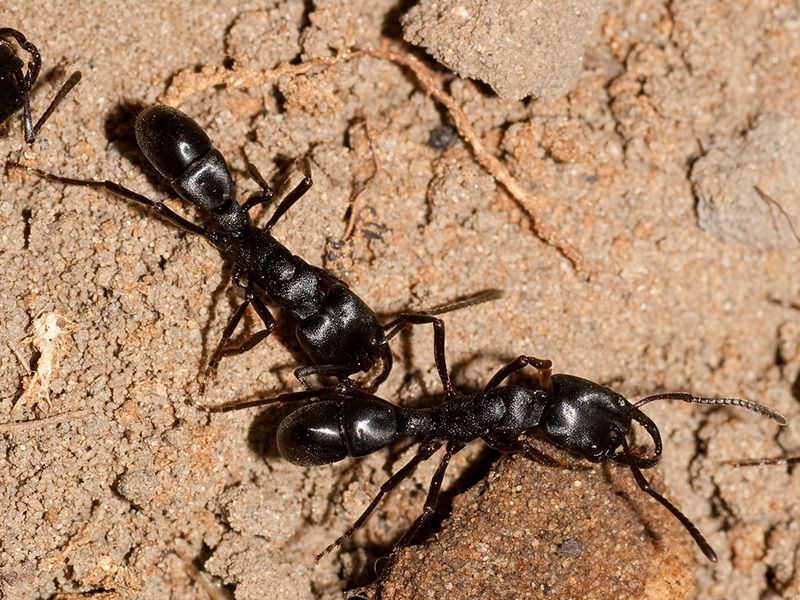 Major of the wood ant Camponotus truncatus (formerly known as Colobopsis) with smaller workers. Worker of Camponotus truncatus on a piece of wood. 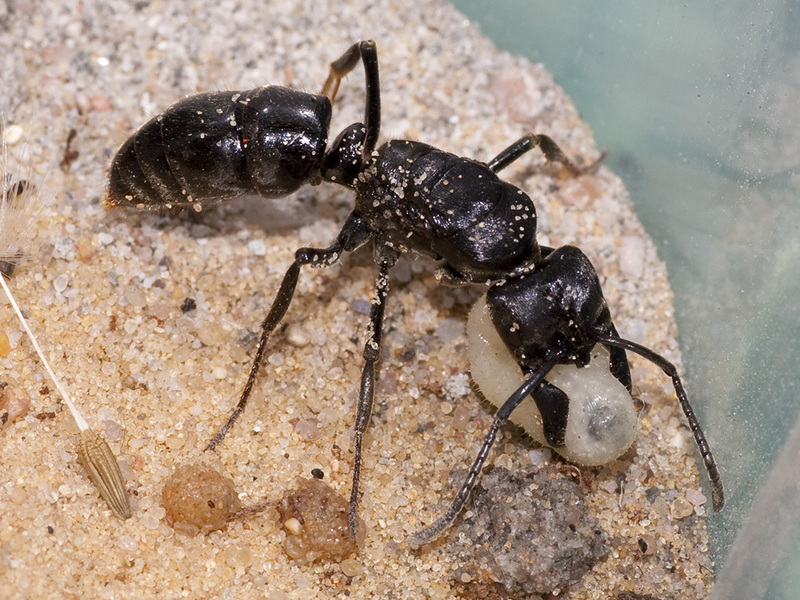 Eggs, larvas and puppaes of Camponotus truncatus. Queen of Camponotus truncatus has the same head shape as of majors. 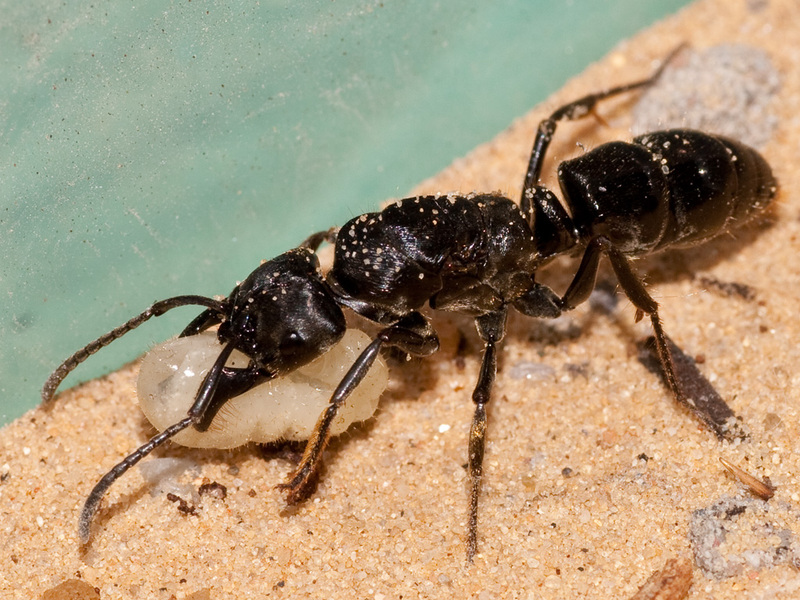 Worker with Queen of Camponotus truncatus. Mr. Gerhard Kalytta in terrarium is digging for a colony of an oriental Messor species. Queen of the oriental Messor species we offer in our shop. Workers and soldiers of this oriental Messor species. Workers of Myrmicaria arachnoides on a tree with mealybugs. Nest of Myrmicaria arachnoides on a tree leaf. 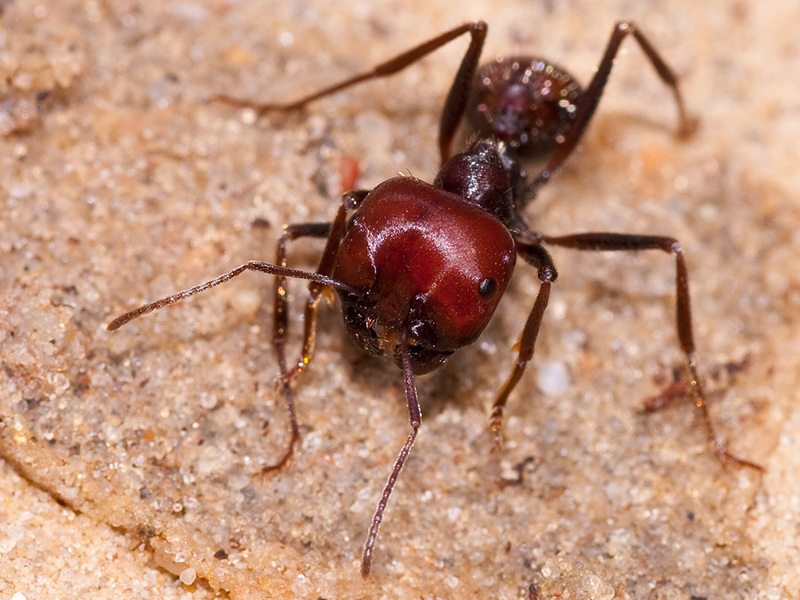 The South-American Dinoponera australis is one of the largest ants species of the world and can quite rightly be declared as the largest ant species of America. Only the South-Asian Camponotus gigas is a bit larger. Worker of Dinoponera australis on a piece of apple. Three workers of Dinoponera australis eating a piece of banana. Most Pseudomyrmecinaes have avery good sight which can be seen on it large eyes. This South American Pseudomyrmecinae is 6 - 8 mm large and moves jerkily. This is one of the few Pseudomyrmecinaes that nests in soil. 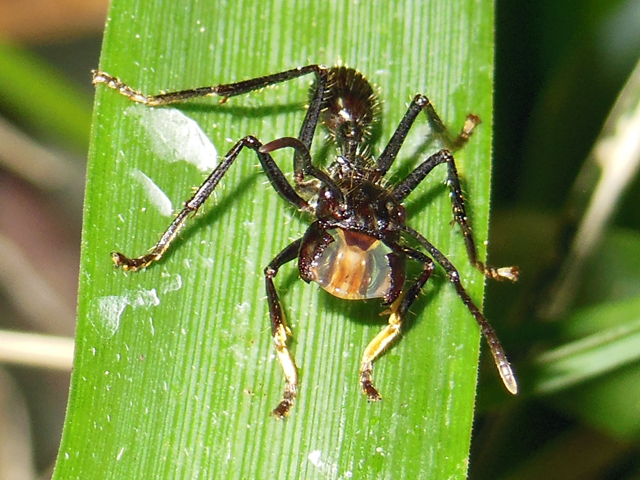 A black colored Pseudomyrmecine (Tetraponera) from South Asia. Another Pseudomyrmecine, Tetraponera rufonigra from South Asia with reddish brown colored Thorax. A beautiful shiny-golden colored Dolichoderine of West-Australia with red legs and a size of approx. 10 - 15 mm. 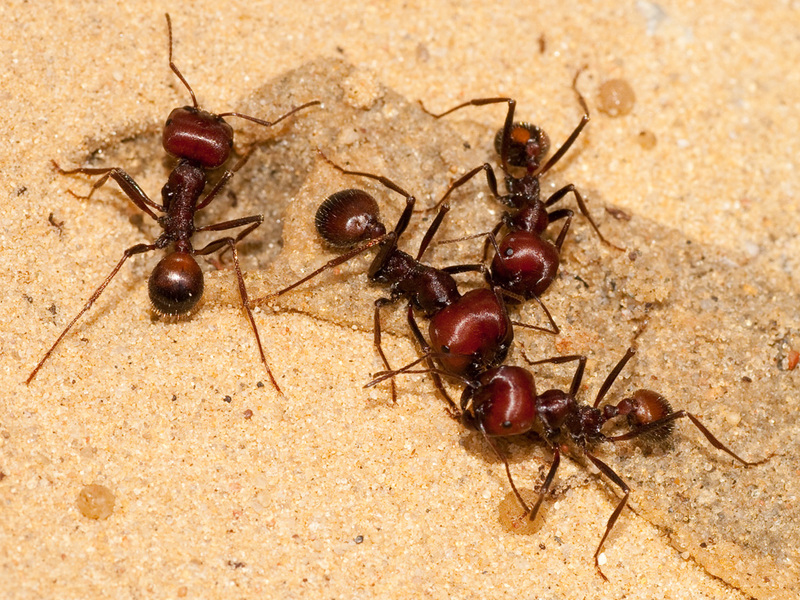 Workers of a West-Australian Dolichoderine.